Looking for something unusual ? 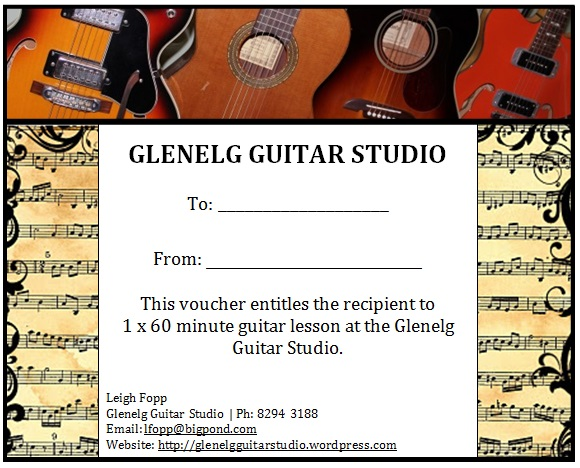 What about a gift voucher for Guitar Lessons ? It’s a gift that will keep on giving the pleasure of music. Whether it’s just one introductory lesson or a series of 10 we can organise a gift voucher for you. NO age limits; NO prior experience; just a lot of FUN. Simply email us to secure your Gift Certificate and we will provide you with our account details for EFT payment transfer. Contact us here.